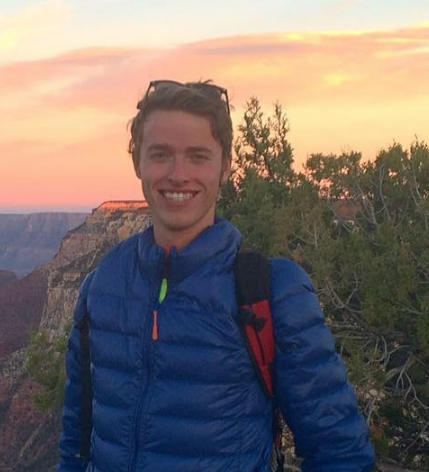 ST. GEORGE — An experienced rock climber from St. George was killed after falling 60 feet while climbing in a remote area of Washington County near the town of Motoqua Wednesday. 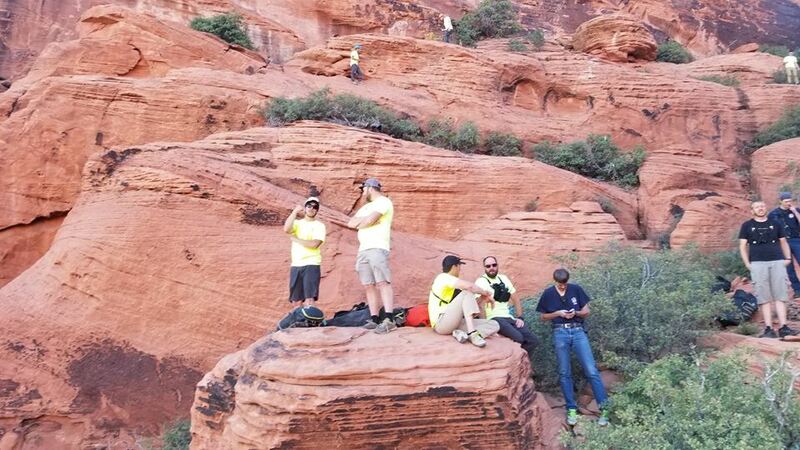 The climber was identified as Fiorenzo Marino Antognini, 63, of St. George. Antognini was an avid outdoorsman with over 25 years of experience in rock climbing, rappelling and base jumping, according to a press release from the Washington County Sheriff’s Office. When Antognini fell, he was setting up a climbing route by removing loose rocks from the cliff, Washington County Sheriff’s Search and Rescue liaison Sgt. Darrell Cashin said. His climbing partner was on a different rock face when the fall occurred, so there were no witnesses. The exact cause of the fall is still under investigation, although detectives do not suspect foul play. “It was either a medical issue that caused him to fall, he had an equipment issue that caused him to fall, or it was human error,” Cashin said. Antognini’s friend hadn’t heard from him “for a while” when he decided to go over and check on him, Cashin said. That’s when his friend discovered that Antognini had fallen and was at the bottom of the rock face. The friend called 911 at about 4:45 p.m. and started doing CPR under direction of the dispatcher until emergency responders could arrive. He still had a pulse when the friend first reached him, Cashin said. 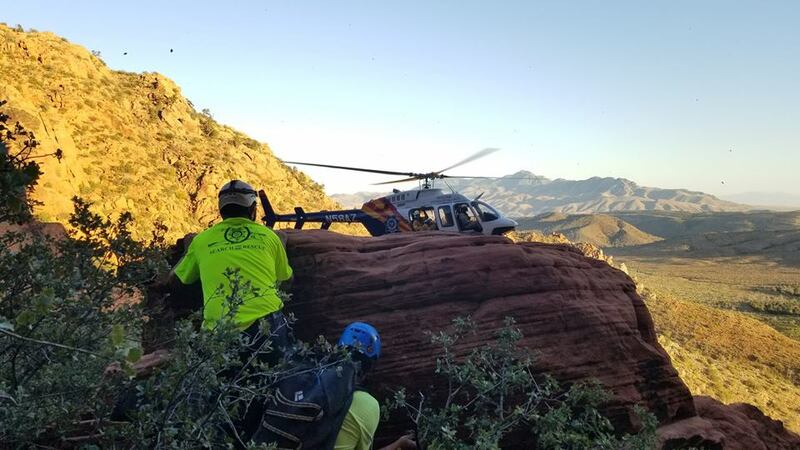 An Intermountain Life Flight helicopter responded, but didn’t have the right hoisting capabilities to lift him, so a helicopter from the Arizona Department of Public Safety was also called to assist, Cashin said. It took one hour for the ADPS helicopter to arrive from Kingman, Arizona. 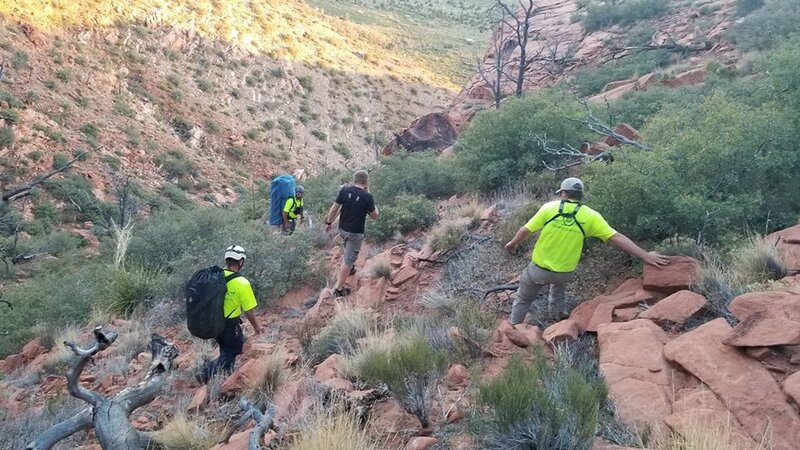 There were 24 Washington County Search and Rescue volunteers who hiked in to the “very remote” location near Motoqua, as well as four Washington County Sheriff deputies, Life Flight medical personnel, ADPS personnel and Santa Clara-Ivins emergency medical service officers, Cashin said. When emergency responders arrived, they continued to perform lifesaving measures on Antognini for another 30 minutes until he was pronounced dead at the scene, Cashin said. Antognini’s friend had done CPR for about one hour prior to that. Antognini’s body was taken to the Washington County medical examiner’s office for further investigation. A few hours prior to the rock climber’s fatal fall, Washington County Search and Rescue volunteers responded to a remote area of Washington County near Enterprise where two men in their 80s had rolled an ATV. The two men were in a side-by-side ATV and were attempting to drive up a hill on a road near Flat Top Mountain that was “extremely” steep when the vehicle rolled over at about 1 p.m. Wednesday, Cashin said. An 85-year-old man was reported to have possible head and neck injuries and an 80-year-old man had lacerations across his arms as a result of the rollover, Cashin said. “It appeared to have rolled a couple of times,” Cashin said. The men were with a group of local retirees who go on weekly ATV rides around the county, Cashin said. Some of the other ATV drivers in the group had to go 0.5 miles down the road to have cell reception so they could call 911, Cashin said. When dispatch first received the call, the Life Flight helicopter was occupied, Cashin said, so a Classic Air Medical helicopter from Kanab responded to the scene. The Classic Air Medical helicopter treated the 85-year-old and took him to Dixie Regional Medical Center for further treatment. An ambulance from Enterprise emergency medical service took the 80-year-old man to the hospital. The extent of the men’s injuries were not known to police at the time of this report.